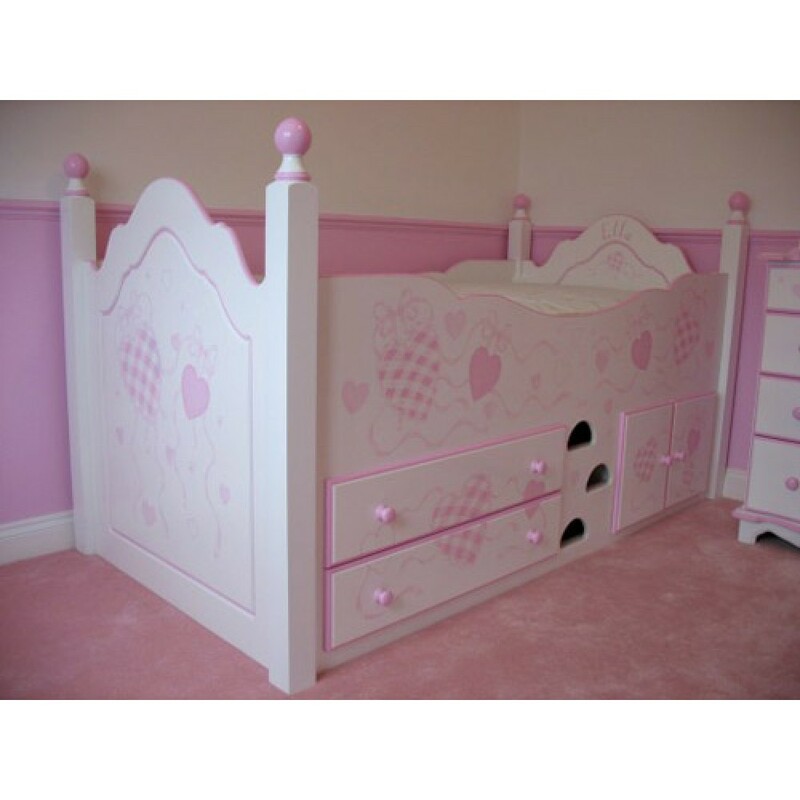 This pink cabin bed has 2 large storage drawers as well as a huge space behind the 2 doors for HEAPS of toy storage! Shown in white with pink hand-painted 'Gingham Hearts' artwork and edging. Can be hand-painted in ANY colour! Also available with 2 drawers only, as a lower version for teeny tots! Can also be made without posts, if space is tight! The raised side will help prevent your little one rolling out, if your mattress is 6" or less. Measurements are 80" long x 41" wide x 45" tall posts.